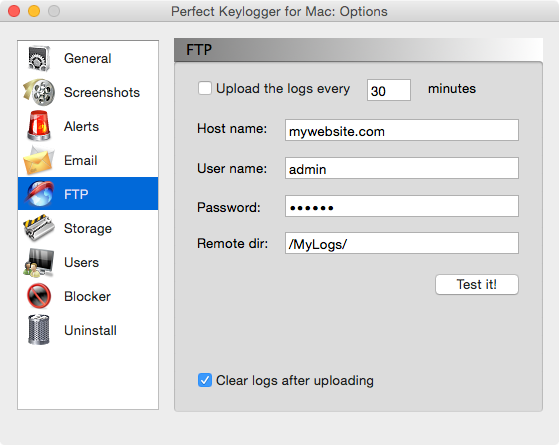 Perfect Keylogger for MacOs 10.14 Mojave. 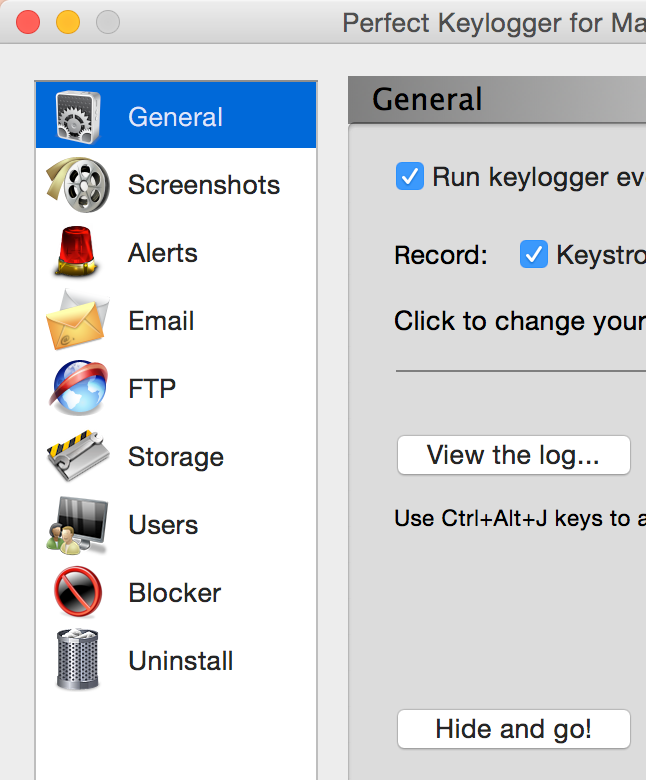 Records every single keystroke, including passwords! 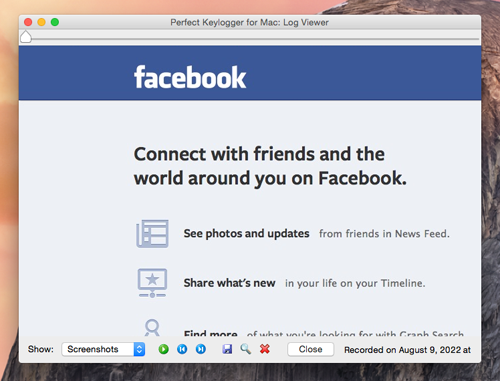 The most user-friendly activity monitoring app for Mac! 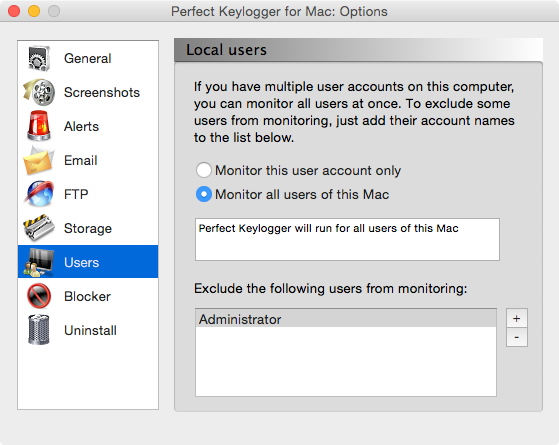 Perfect Keylogger for Mac is a simple and reliable software for activity monitoring on Apple computers (MacBook Air/Pro, iMac, Mac Mini, Mac Pro). 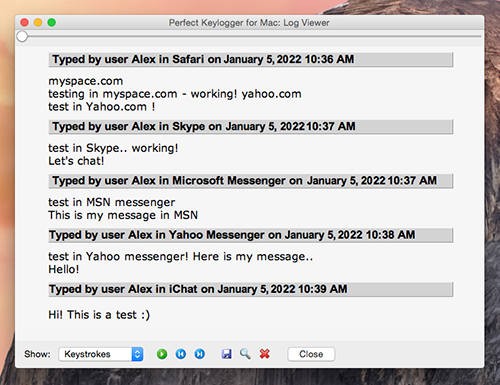 This premium quality keylogger invisibly records every single keystroke typed, captures both ways of chats in many popular messengers, records websites visited and makes screenshots of user activity. You can receive all activity reports back to you by email, or get them automatically uploaded to your website. 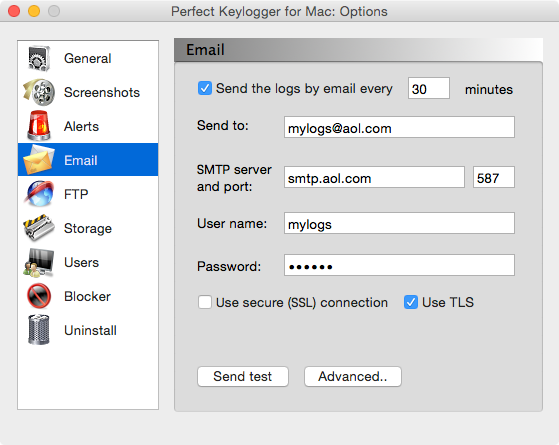 Our Mac keylogger would be useful for concerned parents or spouses, for employee monitoring and many other purposes. We are focused on quality and customer satisfaction, and our goal is to deliver the best product and service for the best price you can find online. We offer a lifetime license without any subscription or upgrade fees. All updates and technical support are free of charge. With more than 15 years of experience in computer monitoring software, we offer reliable product you are searching for! If you need to install this app on multiple Macs, you can purchase our Site license (includes unlimited installations) for $249.95 $99 USD. Please click here for details. Password recording in all applications ( +$12 USD, click here to buy the Pro version with password recording). Do not believe competitors can do that for this price. Snapshot recording with an iSight camera. Find out what's happening in your room while you're away! Great price - much more affordable than competing products! One-time payment without subscription fees, plus a lifetime license and tech. support! *To record passwords, please click here to purchase the Pro version (+$12 USD). This software is developed for computers running Mac OS X (iMac, MacBook Air/Pro, Mac Mini, Mac Pro etc). It cannot be installed on iOS devices like iPad. The software is available for download immediately after purchase! 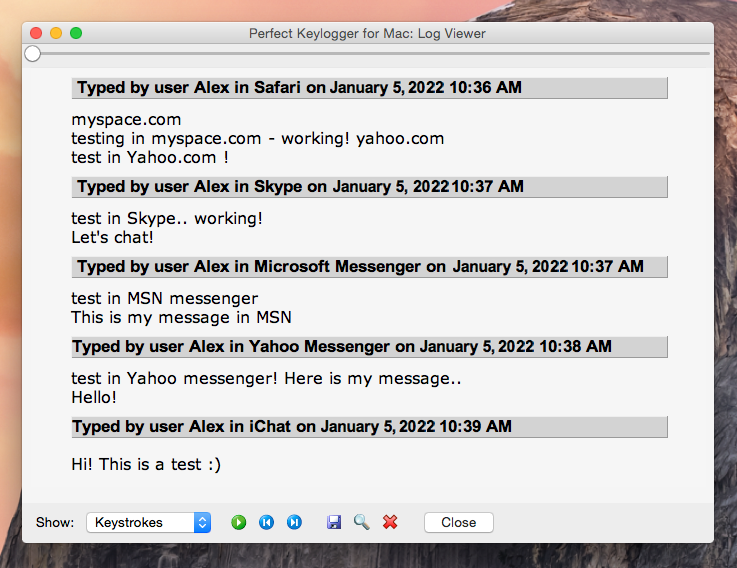 Buy Perfect Key logger for Mac now - secure online purchase - just $34.95! 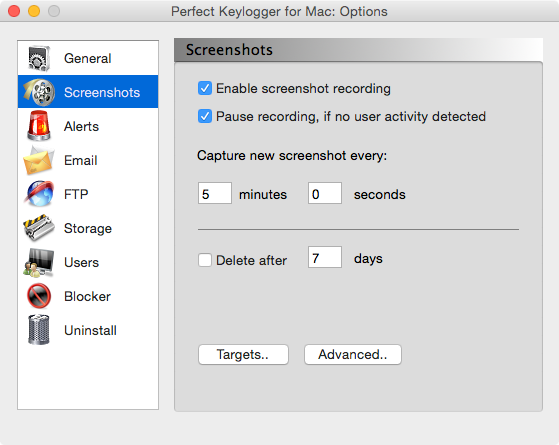 Buy Perfect Keylogger for Mac now - secure online purchase! Mac OS X 10.6.x, 10.7.x, 10.8.x 10.9.x, 10.10.x, 10.11.x 10.12.x, 10.13.x, 10.14. Older versions are available for legacy Mac systems. Works on any Mac (iMac, Mac Book, Mac Book Pro, Mac Book Air, Mac Pro, Mac mini) produced since 2005. Our software is well-tested and is working for thousands of customers. We guarantee to help you with any technical problem you may experience. If we fail to help you, we'll issue a full refund. If you have any doubts before purchase, please contact our tech. support first. Please note that we do not issue refunds for simply changing your mind. 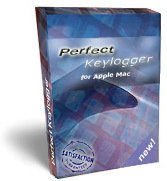 Buy more - Perfect Keylogger for Mac + Perfect Keylogger for Windows together just for $49.95! 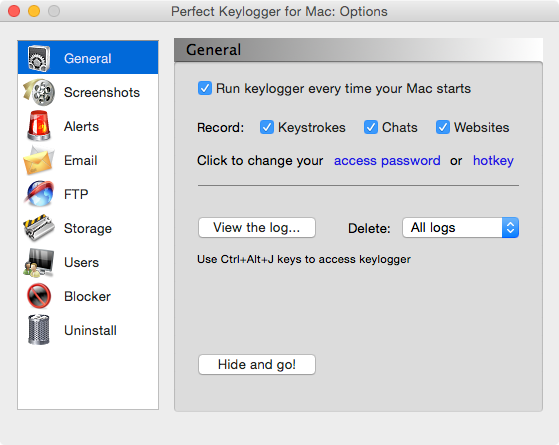 Translate the latest version of Perfect Keylogger for Mac from English to your native language and get this keylogger for free! Click here for details. I want to thank you for the the Perfect Keylogger for Mac. It was one of the easiest things to install and use. I found no bugs, used smtp functions, and it literally saved my life. Thank you for saving me years of pain and frustration! This was one of the greatest investments I have EVER made. Thank you, Thank you, Thank you! Thank you, the installation was simple and it worked first time without any messing around. Brilliant product and one you need to shout about a little louder as this works fantastically well compared to the others I've tried. 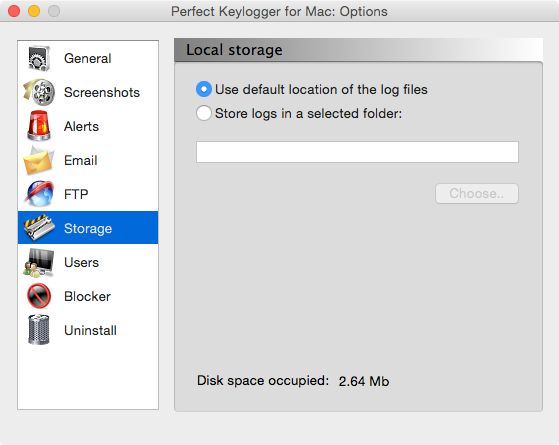 This MAC Perfect Keylogger just saved my marriage. I knew my husband was cheating on me online, but could not get past the lies. With the Keylogger I was able to present the cold hard facts. He came clean and agreed to get counselling and now it's going great. The Tech Support that came with the program helped me all the way with any questions or difficulties. Thanks so much. 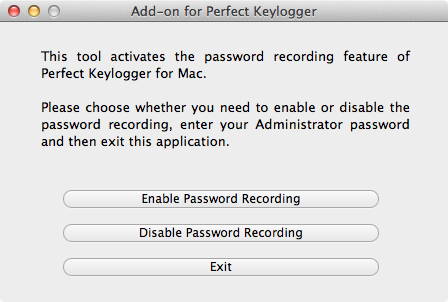 I already purchased "Perfect Keylogger for Mac Pro" with password recorder and it works extremely good. I've only tested it on local machine. installation and config took less than 5 min.